Spike Lee’s film "Bamboozled," released in 2000 to controversy and mixed reviews, follows a frustrated black TV producer on his quest to create a show so offensive it will get him fired. The result is a modern-day minstrel show that, contrary to expectations, becomes a massive hit. A satire of race, media, celebrity, and American history, "Bamboozled" has conventionally been regarded as one of Lee’s lesser efforts, though it now appears to be one of his most prescient and radical. In this reappraisal of the film for its 15th anniversary, film critic Ashley Clark makes the case for "Bamboozled" as one of Lee’s most rich and enduring works, and as one of the most important satires of American culture in this young century. Click here to buy a copy. Bamboozled’s relentless assertions that there remains something unspeakably rotten at the core of American entertainment, pulsating out into wider society, are precisely what make it so interesting. That, and its jagged, ragged form and content. With its jumpy, torrential style—facilitated in large part by Sam Pollard’s bewildering, random-seeming editing—it’s as though the film somehow anticipated the furious visual argot of the 24-hour news cycle or was crafted in the style of the short-attention-span internet culture with which so many of us are now sadly all too familiar: 17 Google tabs open, 4 Gchat conversations on the go, plus a couple of roiling Twitter arguments for good measure. Over subsequent re-viewings, I have come to believe that Bamboozled is in fact the central work in Lee’s canon—the house on fire to which all roads lead. It features some of the rawest and most successful expressions of his enduring obsessions as a filmmaker, including: his investigations into “blackness” as an identity—what does it mean, and who has the authority to claim it? ; his playful, pop-artistic use of the frame and soundtrack to convey a multitude of ambiguous and contradictory political slogans and messages; and his depictions of conversations between characters as danger zones fraught with potentially fatal misunderstandings. Notably, Bamboozled represents the zenith of Lee’s formal experimentation. Throughout his filmmaking career—from the sudden, glorious switch from black-and-white to color in feature debut She’s Gotta Have It (1986), to his trademark floating dolly shot, and the anamorphic fish-eye-lens effect which warps a significant portion of somber family drama Crooklyn (1994) into pure visual abstraction—Lee has displayed a willingness to play with received notions of traditional cinematic grammar in order to disrupt the viewer’s expectations. He has pushed this no further than in Bamboozled, which took a cue from the radical work of the Danish ‘Dogme 95’ movement to become the first major American studio film to be shot, mostly, on digital video. I say ‘mostly’ because Lee, working with cinematographer Ellen Kuras, shot the New Millennium Minstrel Show performance scenes on Super-16mm film. These primary color-saturated sequences, juxtaposed with the blurry look of the film’s main body, resonate as disturbingly lush, underscoring the ease with which the public is seduced by such appalling material. Kuras also commented in The Making of Bamboozled that “[w]hen you put blue light on [blackface], it feels like cast-iron...what a great metaphor for this particular feature in the film. People feel locked in the blackface.” There’s also something mischievously ironic—and fittingly topsy-turvy—about using film stock for material that would, within the fictional universe of the film, be viewed as ‘live television’. Besides its technical merits, Bamboozled is also, like a vast swathe of Lee’s work, a genuine New York story. To label the city a “character” is a timeworn critical cliché, yet Bamboozled’s spatially coherent depiction of bustling, commercial midtown Manhattan—as in other media satires like Network, Sydney Pollack’s Tootsie (1982), and Martin Scorsese’s The King of Comedy (1983)—is central to the viewer’s appreciation of the ambient tension brewing between the haves and have-nots, the wannabes and never-wills. And yet, it is my belief that Bamboozled remains sorely under-appreciated and under-seen. At the time of writing it is out of print on DVD, having only been issued once in 2001 (in an albeit excellent package crammed with special features), is rarely screened on television, and is currently unavailable to stream on any major VOD platforms (Netflix, Amazon Prime, etc.) This is surely an undeserving fate for that rare beast in American cinema: a major studio work which fearlessly explores the corrosive, lasting effects of the racial stereotypes forged in Hollywood’s early days and beyond. 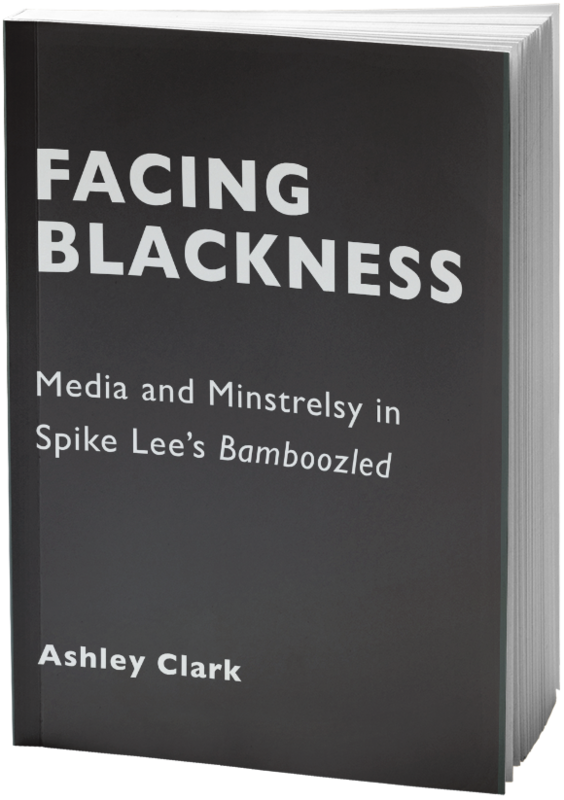 This is an edited extract from Facing Blackness: Media and Minstrelsy in Spike Lee’s Bamboozled by Ashley Clark, published by The Critical Press. Order the paperback edition from The Critical Press here, and the Kindle version from Amazon here. Bamboozled screens at BAMcinématek, Brooklyn on Wednesday 28 October as part of Behind The Mask: Bamboozled in Focus, a film series curated by Clark. Next Article: The Final "Star Wars: The Force Awakens" Trailer is Unleashed Previous Article: Book Excerpt: "The Boy Who Knew Too Much"